This is a classic wine with great reviews. It is also a tremendous bargain for two bottles of wine that are great values and good investments. Take a look at the graph below. 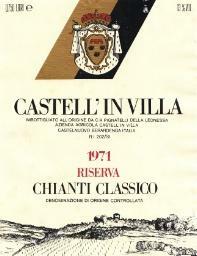 This is a wine that, even in a poor economy, has not just kept its value, but has increased over time. This is a $700 value, perhaps more, with a starting bid of a mere $250. Grab it while you can. 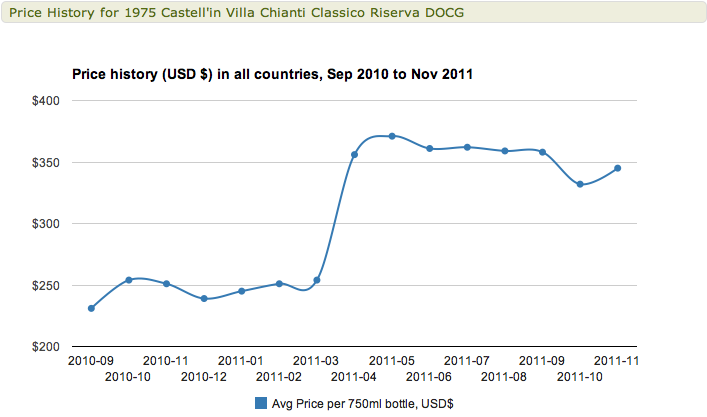 The price history shows not just a great wine at its peak, but also one that is getting rarer by the glass. Please submit your bid in the comment section, below. If the reserve is met, the auction will be won once a bid goes unanswered for a full calendar day. The winning bidder will be asked to make their payment directly to the Hillel Foundation at Indiana University, “Find Lauren Fund.” The Hillel Foundation at Indiana University is a 501(c)(3) charity with a dedicated fund. Palate Press: The online wine magazine will not collect any proceeds as part of this auction. The buyer will also pick up the wine at, or pay shipping from, Zachy’s in New York City. For further information about this auction please visit (Wine for Lauren page). For further information about the search for Lauren Spierer, please visit http://www.findlauren.com.